Kait Whittier has built her magazine column into a hugely respected read followed by fans across the country. She loves her work and adores her grown children, treasuring the time they spend together. 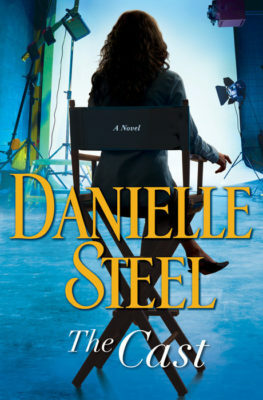 But after two marriages, she prefers to avoid the complications and uncertainties of a new love.Then, after a chance meeting with Zack Winter, a television producer visiting Manhattan from Los Angeles, everything changes. Inspired by the true story of her own indomitable grandmother, Kait creates the storyline for a TV series. And when she shares her work with Zack, he is impressed and decides to make this his next big-budget project.Within weeks, Kait is plunged into a colorful world of actors and industry pros who will bring her vision to life. A cool, competent director. An eccentric young screenwriter. A world-famous actress coping with private tragedy. A reclusive grande dame from Hollywood’s Golden Age. A sizzling starlet whose ego outstrips her abilities. L.A.’s latest “bad boy” actor, whose affairs are setting the city on fire. An unknown ingénue with outsized talent. And a rugged, legendary leading man. As secrets are shared, the cast becomes a second family for Kait. But in the midst of this charmed year, she is suddenly forced to confront the greatest challenge a mother could ever know.